NYC, 02/28/2019, 7:00PM. 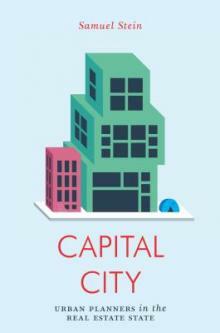 Capital City: Gentrification and the Real Estate State. Our cities are changing. Global real estate is now a $217 trillion dollar industry, 36 times the value of all the gold ever mined. It makes up 60 percent of the world's assets, and the most powerful person in the world - the president of the United States - made his name as a landlord and real estate developer. As Samuel Stein makes clear in this tightly argued book, its through seemingly innocuous profession of city planners that we can best understand the transformations underway. Planners provide a window into the practical dynamics of urban change: the way the state uses and is used by organized capital, and the power of landlords and developers at every level of government. But crucially, planners also possess some of the powers we must leverage if we ever wish to reclaim our cities from real estate capital.